We have already explored the possible reasons of why your love spell is not working with some pre-ritual problems that may forewarn of disastrous results. You can read this on the first part of this series titled, “Free Candle Spells | Why Your Love Candle Spell Isn’t Working Pt. 1 (click on blue words to go to article). The second part of this three part series will talk about things that you may be doing that are thwarting your success in your love candle ritual. 1. You are doubtful of the power of candle spell magic and/or you do not have confidence in your own power. – Damn that brain! It keeps you from attaining what you want. You can talk your way right into a funk so low that even Satan needs to send a search party. All jokes aside, you may be thwarting your own success by doing something as little as saying, “I HOPE this candle will bring to me (insert name here)” or “Please let me and (name our target here) get together/back together/fall in love”. URRRRT….NO! One of the best ways to negate any positivity in candle burning is wishing and hoping something will happen. It is better that you wait until you either had a good cuppa joe or feel raging hormones before you light a candle with a POSITIVE MIND. 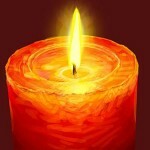 Examples of statements that are truly positive are something like “With the lighting of this candle, I FIRMLY BELIEVE that (insert name here) and I will become a couple in a long lasting and happy relationship that will last forever” or “I KNOW that with the lighting of this candle, I WILL be the next girlfriend/lover/wife of (insert name here”. See how much more affirmative and positive those two statements are? 2. You are skimping on ritual and product or editing the length of ritual – When you read a good spell that just ‘clicks’ with you or if you are under a root workers suggestion to do something, do not buy or obtain items because you believe they can stand in for the real thing ‘in a pinch’. I have had people ask me if they could use a half burned fragrance candle that is PINK like I suggested, but they don’t want to let it ‘go to waste’ so they want to substitute it for a new candle. Look, that candle that was being considered for substitution was meant to cover odors in the bathroom – why would you want to now suggest to use it for a love spell (unless you want your love affair to go down the toilet, right?). The original purchase of the candle was NOT for magic, but clearing the room of nasty odors. Don’t be cheap and go get a fresh, new candle. Also, if you are to do something for X amount of nights, don’t cheat yourself by figuring that you do not need to do the prayer or ritual every day/night. The Saints do not care if you are bone tired, just five minutes of meditation or prayer will do the trick. Heck, even when I was running out the door one morning, I paused and extended my right hand, saying to the candle, “You know my intentions, I just got to not be late for work!”. I backed it up with a wee bit more time in the evening to make sure I was applying the time. 3. You are the victim of a ‘rip off’ artist – They are out there, and more come out of the woodwork when life gets tough. Each spiritual worker, root worker or spell caster determines what is their price for products and their time and work. Some things do take quite a lot of money, like making sure all the items have been properly cleansed, blessed and anointed. Some things are pricey if you are practicing a certain methodology or belief system. But, if you are being charged $100.00 for a candle, without any notice of it being lit or not, you are being victimized when you are at a most vulnerable emotional state. Shame on them!